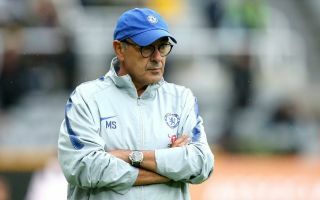 Maurizio Sarri has made a piece of Chelsea history this afternoon by guiding his team to a thumping 4-0 win against Burnley. The Italian tactician has made a superb start to life at Stamford Bridge, and it’s a record-breaking one too as he becomes the first ever Chelsea manager to remain undefeated in his first ten Premier League matches. This means this Blues side has now achieved something that even the best Jose Mourinho and Antonio Conte teams never did with an incredible unbeaten start – though it’s worth noting Mourinho did actually start the 2005/06 and 2014/15 campaigns unbeaten after the same number of games, but those were the second seasons in each of his two spells in charge. This bodes very well for Chelsea, who look the real deal after changing manager this summer, putting themselves firmly in the thick of the title race this season. It remains to be seen how long CFC can continue to stretch this fine run, with the finest in the Premier League era of course belonging to Arsenal, who went an entire season without losing back in 2003/04. It seems unlikely we’ll ever see anything quite like that again, but for now Chelsea are definitely showing they’ll be a force to be reckoned with this season.